This Academic Webinar took place on Thursday, April 28, 2016 at 12 p.m. EST. This academic webinar was presented by Steve Crawshaw, author and human rights advocate. It can be difficult in retrospect to imagine quite how unchallengeable were some of the unelected or repressive governments that have retreated and collapsed over the years. There are always specific economic and geopolitical factors which lead to the collapse of any given regime, and which are often foregrounded in the historical narrative. But the straightforward role of nonviolent protest and civil disobedience has frequently played a key role in changing the landscape. 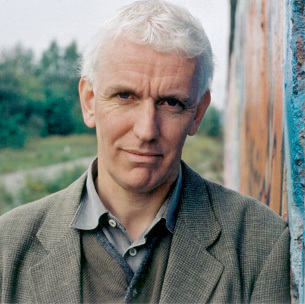 Steve Crawshaw, who is now on a writing sabbatical from Amnesty International, lived in Poland in 1980 and was East Europe Editor of the Independent in 1989. He reported on revolutions throughout the region at that time. He draws connections between the events in Poland in 1980 and ‘Act Two’ across the region in 1989, including a key retreat by the East German authorities in the city of Leipzig, a month before the Wall broke open. He looks at the implications of those huge changes for those seeking peaceful change today, and at some of the elements of successful protests worldwide. Participant’s Question: The webinar on NV in eastern Europe was excellent. My question is given the experience and level of repression by the police against the people who questioned authority in all of eastern Europe, how was it possible that the revolutions happened essentially without bloodshed all over eastern Europe except for Romania where the opposition was not nonviolent. What enabled the people to maintain a nonviolent discipline so uniformly? Steve Crawshaw: Glad you liked it! — You’re right that the nonviolent resistance across eastern Europe was truly remarkable, I guess it can be described as a kind of benevolent virus that spread. Once one country saw that nonviolent resistance had worked, other people (East Germany, Czechoslovakia, Bulgaria) believed in the same thing. Romania, as you point out, was very different. The dictator, Nicolae Ceausescu, was ready to use unlimited force against peaceful protesters, as became clear in the western town of Timisoara when the protests began. Then, as the regime itself split in two, you had two state armed groups — the army, now partly against Ceausescu, and the security forces, remaining loyal — fighting it out between each other. One of the most important episodes for nonviolent protest was the remarkable moment when Ceausescu organized a phoney pro-Ceausescu protest in Bucharest, broadcast live on TV — which then went wrong, when even the phoney demonstration started booing the leader, and the microphones had to be switched off. Ceausescu and his loyalists had no idea what to do — and from that moment one can argue that the regime was doomed. 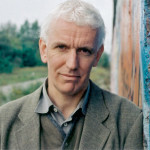 Steve Crawshaw is international advocacy director of Amnesty International. From 2002 to 2010 he worked for Human Rights Watch, first as UK director and then as United Nations advocacy director. He was a journalist for many years, first with Granada Television in the UK and then joining the Independent at launch in 1986. He reported for the Independent on the east European revolutions, the collapse of the Soviet Union, and the Balkan wars. Other stories included interviewing Burmese opposition leader Aung San Suu Kyi and witnessing the fall of Serb leader Slobodan Milošević. He is the author of Goodbye to the USSR (Bloomsbury, 1992) and of Easier Fatherland: Germany and the Twenty-First Century (Continuum, 2004). 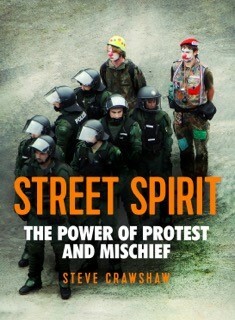 Forthcoming new book by Steve Crawshaw: ‘Street Spirit: The Power of Protest and Mischief’ on creativity and nonviolent protest will be published in October 2016. Vaclav Havel, The Power of the Powerless. (Routledge, 2009), also readable online.